The Great Vermont Corn Maze in Danville is in full swing for the 16th year. 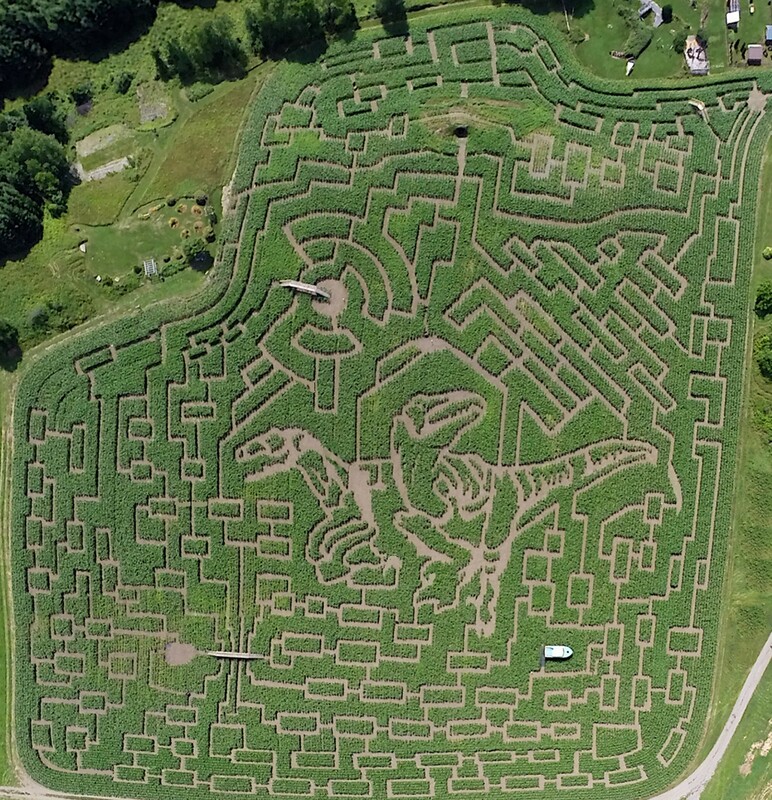 This year, the complex 10-acre maze, which takes visitors one to five hours to complete, sports a design featuring a prehistoric theme and an 80-foot velociraptor. “What we try to do every year is pick a design that people will get a kick out of,” says owner Mike Boudreau. To create the intricate design, Boudreau and his family begin by designing a scaled image on graph paper. In June, when the corn is only a couple of inches tall, they go into the field and mark the trails using a tape measure, a 500-foot stick and the graph-paper map as a guide. It takes the family about six weeks to finish cutting the trails. The maze is open daily through most of October, weather permitting. Boudreau suggests that visitors come early in the day, pack water and be prepared to spend about three hours at the site. The Great Vermont Corn Maze, at 1404 Wheelock Road in Danville, is open daily through October 19 from 10 a.m. No one may enter past 3 p.m. $10-15.